Today I am linking up with Andrea for Show & Tell Tuesday. 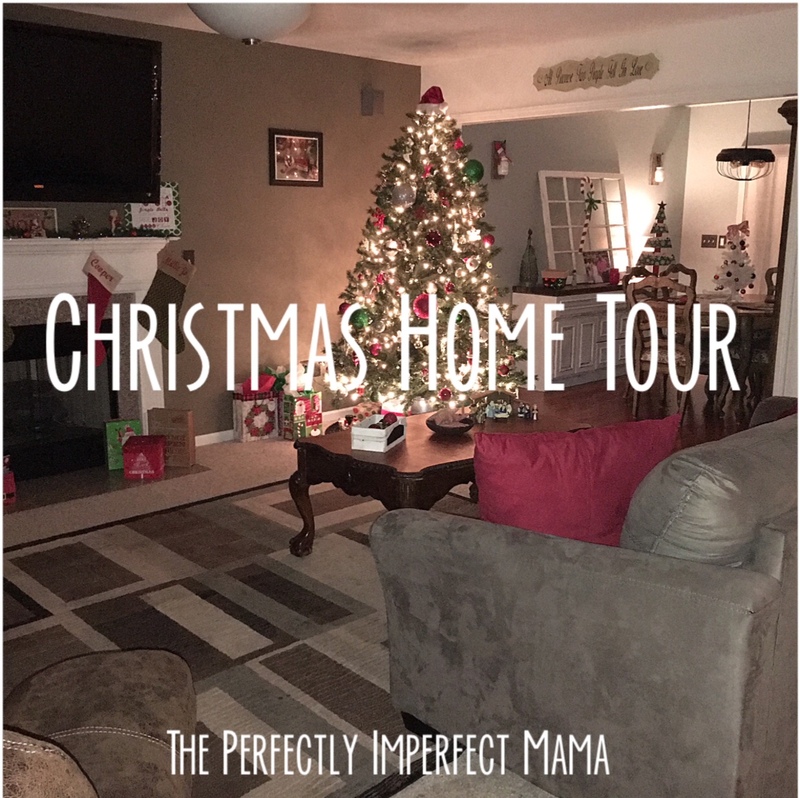 And today we are sharing all things Christmas décor! I love, love, LOVE these posts so much ... both writing mine & reading others! I love getting a peek into other people's homes to see how they decorate. There is nothing cozier than a house at Christmas time. Often times, when everyone has settled down for the evening, you can find me in the living room with just the Christmas tree & mantle lights on watching a Christmas movie! My kiddos made this a couple years ago & it's one of my very favorite Christmas decorations! One of my most favorite ornaments is this one my mom gave me last year. I didn't realize until this year when I hung it on the tree that it says Joy. And if you don't know, back in October when Dan & I found out we were having a girl , we chose her middle name to be Joy. That is just how God works, y'all! He is so good & knew even during my time of heartache last year that I would be carrying another baby girl this year. Cooper & Millie Jo have had a tree in their room since they were babies. They love them so much & always look forward to decorating them themselves! A little tour of our home at Christmas time. It makes my heart so happy! I'm off to get ready for the day. Millie Jo is in the parade for dance this afternoon & I can't wait to see her in it! Your coffee station and tiered tray are both so cute! Merry Christmas. Your home is decorated so nicely! I love the door-turned chalkboard in the dining room! Merry Christmas!